Always the centrepiece of our winter wardrobe, the humble coat gets a heck of a lot of wear in the colder season. 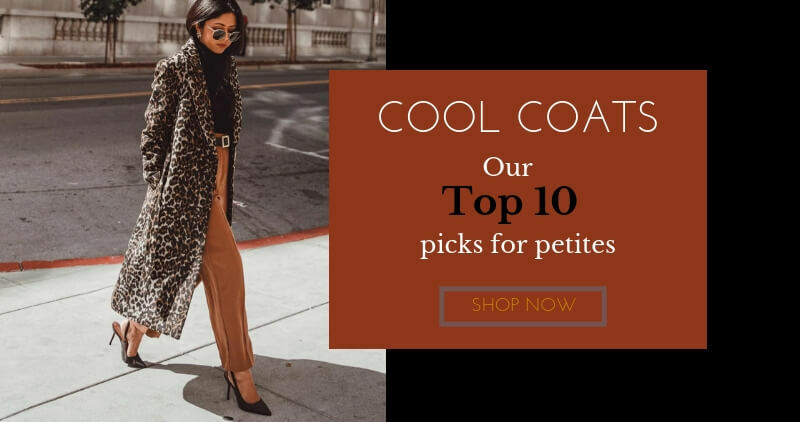 Navigating this shopping task and finding styles that don’t swamp us can be a minefield for petites; our outerwear needs to be practical yet stylish, comfortable yet cosy. So we’ve done the hard work for you by tracking down the trendiest coats that will work for your frame; from high street to high end pieces that’ll serve you year on year. It really is the time to buy, before the weather turns too cold. With our stylish guide you’ll be right on trend in no time. Who says winter has to be all dark and gloomy? Bring a dash of colour to darker days in this dusty pink coat from Fleurette. A no-fuss winter staple, this tailored wool number is true pastel perfection. A classic notched-collar reefer is superbly tailored from plush Loro Piana wool from Italy with a half-belt in back accentuating the feminine silhouette. You don’t have to hide your figure just because it’s chilly out, and this is the perfect length to show off the bottom half of your outfit. Add a coordinating scarf and gloves as temperatures drop. There’s something out there to suit everyone’s style this winter. 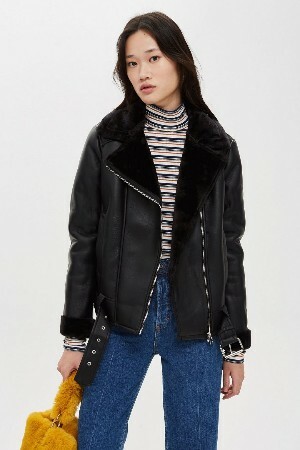 If it’s a jacket you’re after, why not make a trendy addition to your closet with this faux shearling biker jacket from Topshop’s petite line. 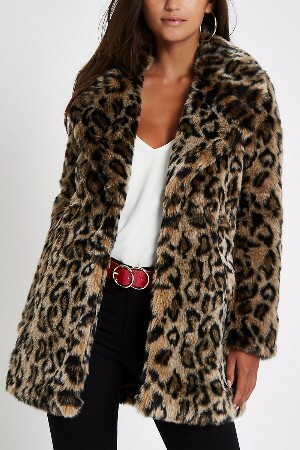 The faux fur collar adds a stylish, fashionable edge to cooler days, and it works with just about every outfit, from midi dress and boots, to casual jeans and trainers for weekend walks. To take it up a notch look for versions in different colours across the range. Just looking at this quilted black coat makes us feel all warm and cosy. You might worry that a padded coat could add unwanted inches; but the straight cut, darker colour and nipped in waist belt all help slim the figure. For colder days, the addition of a hood is a welcome bonus. Whilst the neckline can be done up, it’s equally flattering when left open. This coat isn’t too long as to swamp your frame, plus the faux fur collar is a key trend for the season. The classic parka is such a style staple, the trend comes round again every season. That means no worrying that this year’s winter buy will go out of fashion by next winter. 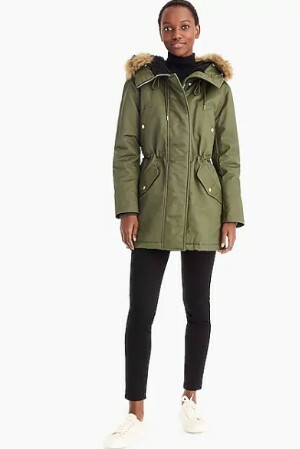 J Crew have cleverly created a snowstorm-proof coat, specially designed for maximum warmth with minimum bulk. That is music to a petites ears; all the stylish weather proofing without the excess fabric. It comes in five different colour ways, plus the faux-fur hood is removable – bonus! 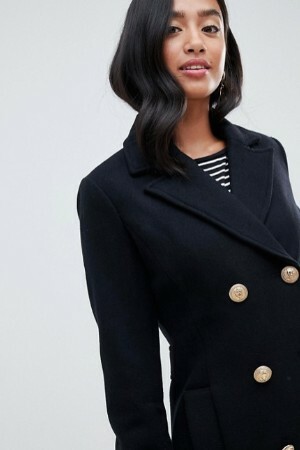 We adore the classic cut of Boden’s Burley coat. Boden’s specifically designed line gets petite clothing right every time, without compromising on style. The elegant print of this luxurious textured Italian fabric coat really takes the look to the next level. Printed outerwear has been seen on the runway this season, and will last you for many years to come. Style this on over your favourite petite dress for ample sophistication. And with the detachable faux-fur shawl collar, you get two looks for one! This gorgeous taupe bomber will give you a look of luxurious warmth in winter weather. 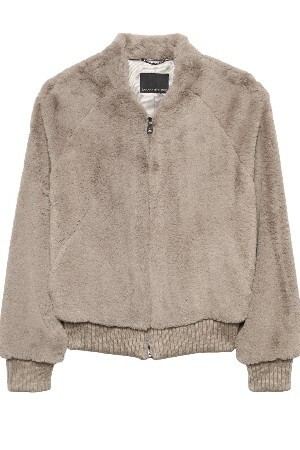 You can get your faux shearling fix in the form of this cosy bomber from Banana Republic’s petite line. It has been cleverly cut for a smaller frame, whilst retaining room through the chest, arms and waist. We love the slight stand collar and ribbed-knit cuffs. Wear with your best tailored trousers, ankle boots and your favourite handbag. This is Fall dressing done right. Keeping your winter wardrobe to coordinating colours like black, grey and navy may make morning dressing a whole lot easier. But with the right coat to elevate your outfit, you can add some bright colour to liven up dull days, like this one that comes in eight, that’s EIGHT different colours! 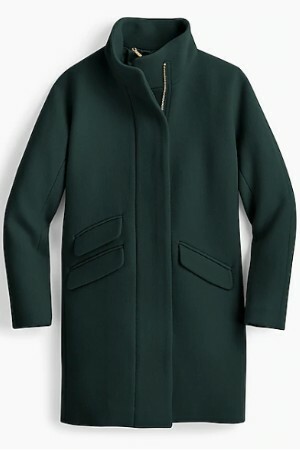 This J Crew cocoon coat taps into this season’s IT shape: oversized tailoring. 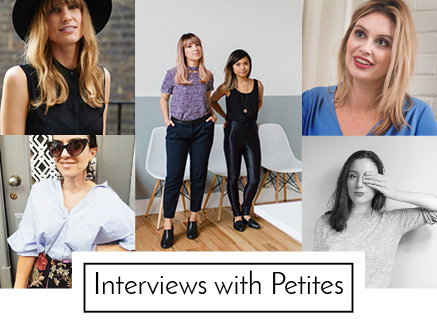 Don’t be scared of this trend, petites. You can pair the looser fit up top with fitted jeans, or add a belt to define the waist. J Crew petite line guarantees that although this is a looser fit, it’ll be a perfectly proportioned fit for ladies 5”3 and under. This style of coat has been rocking the fashion scene since the Sixties, and was spotted on the runway recently at Gucci and Burberry. The military style, double breasted coat is a true icon. It works for us petites with the nipped in waist and V neck lapels – a nod to masculine tailoring. Tap into this season’s trend for layering by wearing a cream polo neck sweater underneath. The colour contrast will add a sophisticated take to your fall outfit. The trench coat reins in style every season, this elegant version from London Fog is versatile enough to style with your office wardrobe or to wear over jeans at the weekend. This timeless classic’s streamline cut slims a petite frame, no matter your size. The beautiful caramel colour flatters most skin tones, and can be paired with almost any colour. This coat will give you a multitude of outfit options this winter and beyond. This coat from River Island is the ultimate style winner for winter 2018, ticking just about every box! The perfect length, petites will relish not being swapped by an oversized long coat, without compromising warmth. This piece taps into the animal print trend we’ve been seeing over the past few seasons, combined with the faux fur trend that’s been all over the catwalks and is a firm favourite with our favourite petite celebs and Instagrammers. This super soft coat offers a versatile addition to your winter wardrobe, wear with a midi dress and boots or black jeans for ultimate celeb style.